Last week was quite a rollercoaster for those involved in low carbon energy policy. French utility EDF spent the first part of the week drumming up media excitement for a final investment decision on its Hinkley Point C development, briefing heavily that the project would likely be green lit by the board on Thursday – a decision widely viewed as the final hurdle for the UK’s first new nuclear power plant in a generation. But in a surprise twist of events, just hours after EDF approved the investment – losing a board member and angering its own unions in the process – the government launched a review into the project’s “component parts”, pushing the contract signing back into the autumn, assuming it happens at all. Plans for a VIP party at the site of the proposed plant in Somerset were hastily shelved as EDF came to terms with the shock turn of events. Meanwhile, UK trade unions fumed, environmental campaigners cheered, and journalists hoping to have put the Hinkley saga to bed finally before their summer holidays wearily returned to their keyboards. So what now for the beleaguered energy project? Is this review really just a chance to double check the finer details? Or could this be the start of a major shake up of the UK’s clean energy policy? 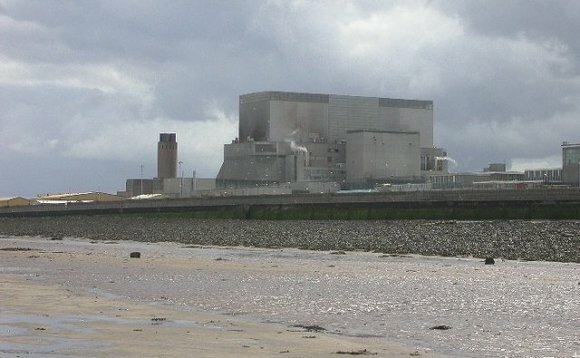 BusinessGreen spoke to a range of experts to get their views on where next for Hinkley Point. What will be different in September? And what was it that caused the plug to be pulled so late in the day? The story that is now coming out is that this is all about the Chinese involvement. But those concerns were made public last October, so it will be no surprise to Mrs May that there are anxieties about China’s role in the project. I think the government is now working on a way to secure the Chinese investment while alleviating these security concerns. But really, the government should drop the project. It’s now taken most of the political damage for abandoning it anyway. All of the people opposed to it – financial analysts, credit rating agencies, environmentalists, even members of the EDF board – have been encouraged to redouble their efforts to stop what is now I think pretty widely recognised by everybody outside of government and nuclear theologians as a very bad deal indeed. You now have huge momentum behind the calls for the government to enact a Plan B. There are so many things that you could do that would be faster, cheaper, cleaner and more reliable than Hinkley. There’s no shortage of alternative plans that would actually keep bills down for people and be low carbon, such as a new energy efficiency programme, a new fleet of offshore wind farms with power two-thirds the price of Hinkley’s, and more interconnectors to bring clean energy for the continent. The big obstacle to this is that there is still a vast illusion among the commentariat that you need baseload power which only nuclear can supply – but that’s coming from people who haven’t caught up with where electricity grid technology has got to. This is really all about letting go of bad ideas.